The oldest and largest restaurant chains of beef bowl (and arguably, Japan's No.1 Beef Bowl) with over 1800 outlets around the globe. Its roots can be traced back to a small shop in Nihonbashi Fish Market selling Gyudon (Beef Bowl in Japanese). Prepared with its secret recipe broth seasoned with savoury herbs and spices together with large sweet onions, served on a bed of fluffy Japanese rice, Yoshinoya offered a tasty yet healthy meal to the fishermen and fish mongers. Arguably Japan’s world famous Sanuki Udon, Hanamaru Udon offers Japanese traditional fast food "Udon" to the consumer. Whether piping hot and refreshingly cold, the Udon served at Hanamaru is equally appetising and goes perfectly well with their selection of delicious toppings ranging from gooey onsen tamago to flavourful mentaiko. I love Yoshinoya's food menu that clearly shown up on the LCD! It was a lazy & rushing Sunday afternoon as I've to travel down to Shah Alam to attend this food tasting, just right after I finished my Sunday service. To tell you the truth, until now I have not tried Yoshinoya & Hanamaru, despite its existence in Mid Valley! 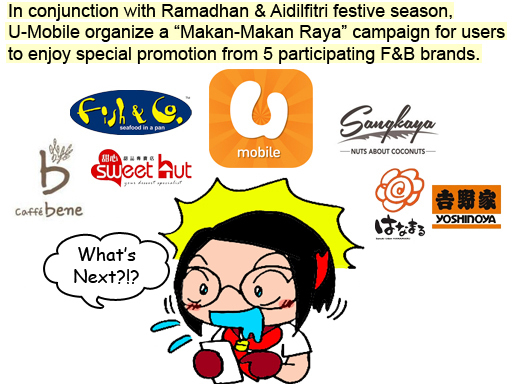 #bukanorangKL Thus, this food review comes in handy to find out why it's Malaysian most sore after Japan's food chain! 100% imported Australia Premium Beef added with their special sause and oinons, and Otaman eEgg (soft boiled egg), served with Japanese Rice. 100% imported Australia premium Beef cooked with yakiniku sause and long beans and onions, served with Ontama Egg (soft boiled egg) and Japanese Rice. 100% imported Australia premium Beef cooked with yakiniku sause, long beans and onions, added with our special spicy paste, served with Ontama Egg (soft boiled egg) Japanese Rice. Flame-grilled salmon drizzled with Japanese mayonnaise and serverd with wasabbi paste and rice. Fried Chicken cutlet with our japanese katsu sause on the top, served with salad, miso soup, japanese rice and Ontama Egg (half boiled egg). Fried Chicken cutlet with our japanese spicy sause on the top, served with salad, miso soup, japanese rice and Ontama Egg (half boiled egg). Fried Chicken cutlet with our japanese tar tar sause on the top, served with salad, miso soup, japanese rice and Ontama Egg ( half boiled egg). Fresh Sanuki Udon served together with fresh salad and chicken shred, garnished with Japanese roasted sesame sauce. Fresh Sanuki Udon served in Udon Sauce, topped with Mentai Mayonnaise. Fresh Sanuki Udon served in soba soup, topped with half-boiled egg and spring onion. Fresh Sanuki udon served in Udon Sauce, topped with beef slice and half-boiled egg. Fresh Sanuki Udon served in chicken soup, topped with shredded chicken and soft-boiled egg. Fresh Sanuki Udon served in Japanese curry sauce with chicken shred, topped with half-boiled egg. Fresh Sanuki Udon served in chicken soup, topped with spicy chicken paste and soft-boiled egg. Fresh Sanuki udon served in Udon Sauce, topped with beef slice, half-boiled egg and spicy chili paste. My thoughts on Yoshinoya & Hanamaru: their beef is not a joke, it was one of the best beef I've ever had from a Japanese restaurant! I simply love how the Udons were cooked perfectly well. I'd had enjoy to slurp the udon even though I've not reached to that level of ability to slurp the entire udon in a go. The chili paste from both parties were so great that I prefer to have it to spice up my food. Else, I'll ended up complaining how plain it was. Still, without the chilli it is more than enough to satisfy your hungry tummy.